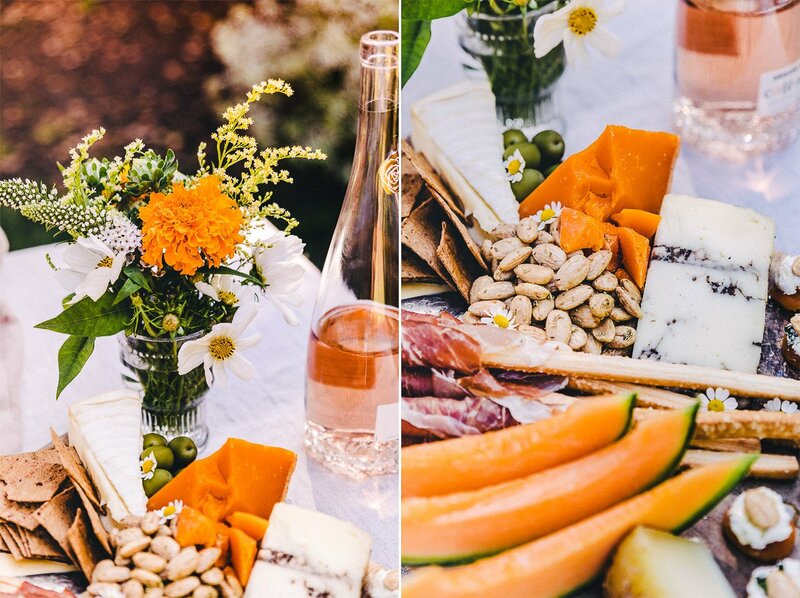 Summer is the season of effortless entertaining. This is why it’s, hands down, my favorite season. 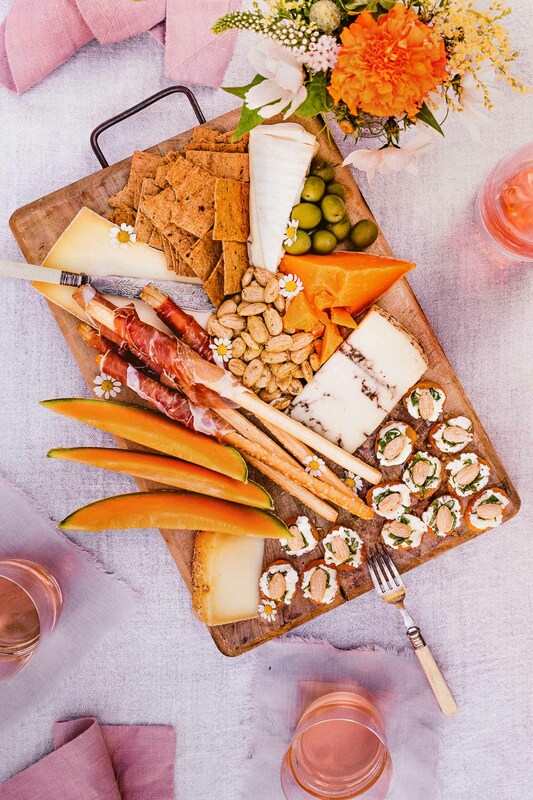 When it’s too hot out to muster the motivation to stand in front of a stove, improvising an easy and seemingly elaborate cheese and charcuterie platter is the longest running, most brilliant time-saving trick in the book. 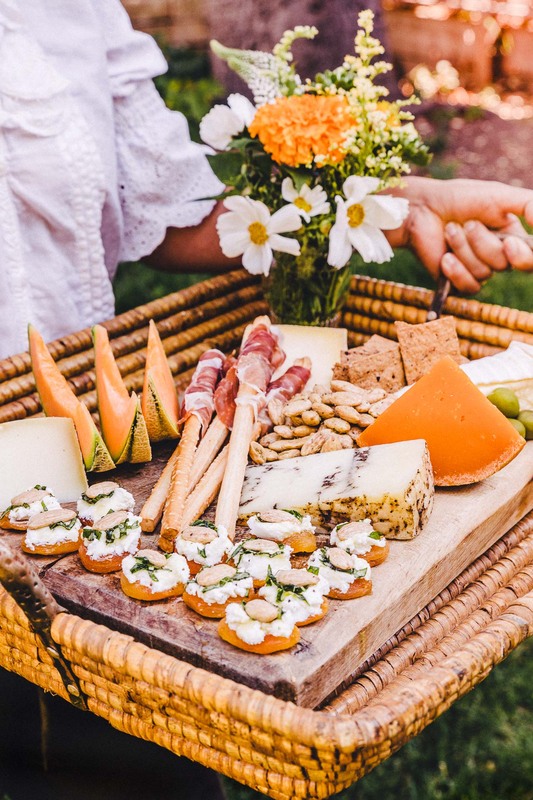 After recently experiencing the utterly divine trifecta of apricots, goat cheese and almonds in one bite-sized morsel, I was excited to add it to my cheeseboard repertoire. 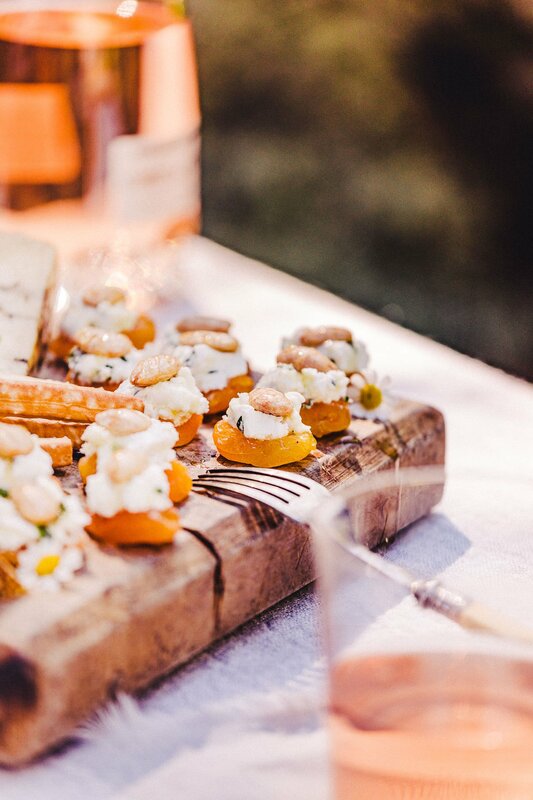 Who knew that dried apricots pair so wonderfully with goat cheese? 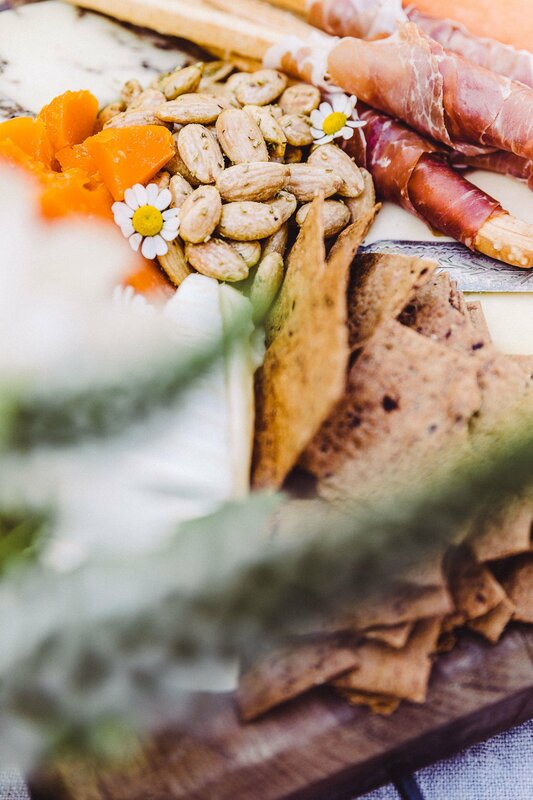 But actually, the real surprise here is the almond topper. 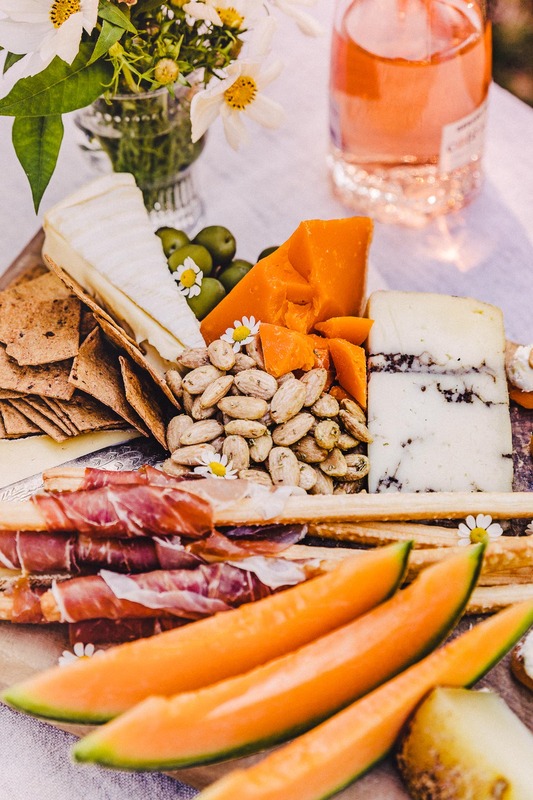 Blue Diamond Crafted Gourmet Almonds in the Pink Himalayan Salt flavor is the perfect nutty, salty and crunchy addition to these sweet, tangy and creamy bites. 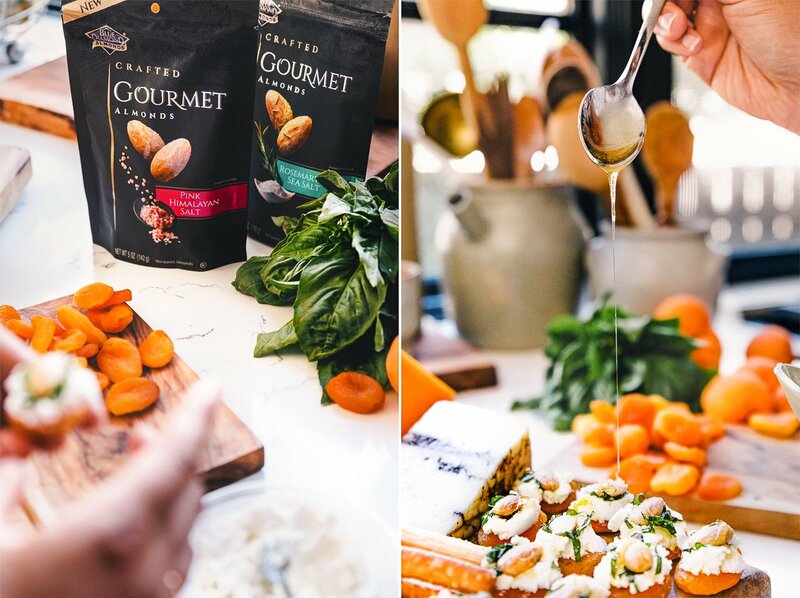 And with a bit of fresh basil and a drizzle of honey? YUM. Honestly, I dare you to eat just one . . . 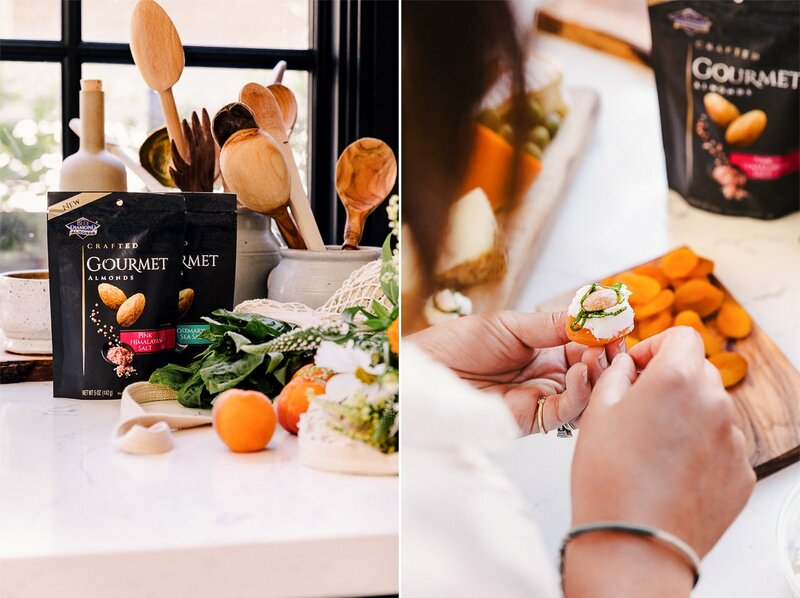 The only preparation that needs to happen for these delicious apricot canapés is finely chopping the fresh basil, it’s that easy. 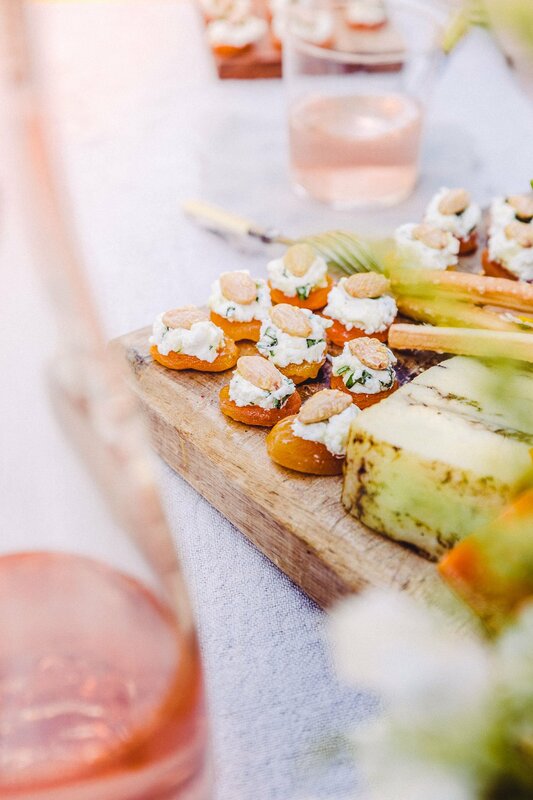 Simply scoop a dollop of fresh goat cheese on top of a dried apricot half, top with fresh basil and a Pink Himalayan Salt flavor almond. Drizzle warm honey over it and voila, get ready to for some oooohs and ahhhhs. 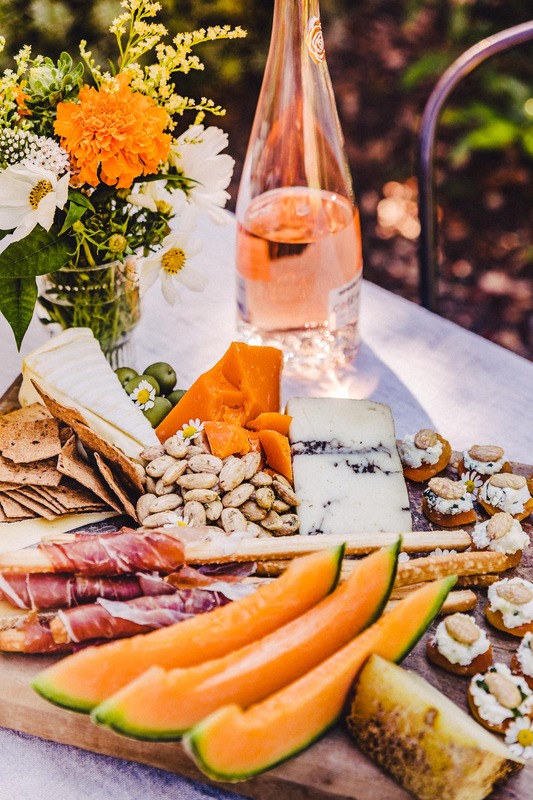 To finish off your platter, add a few blocks of your favorite cheeses, wrapped breadsticks with prosciutto, slices of some summer melon, olives and a handful of almonds to round it all out. 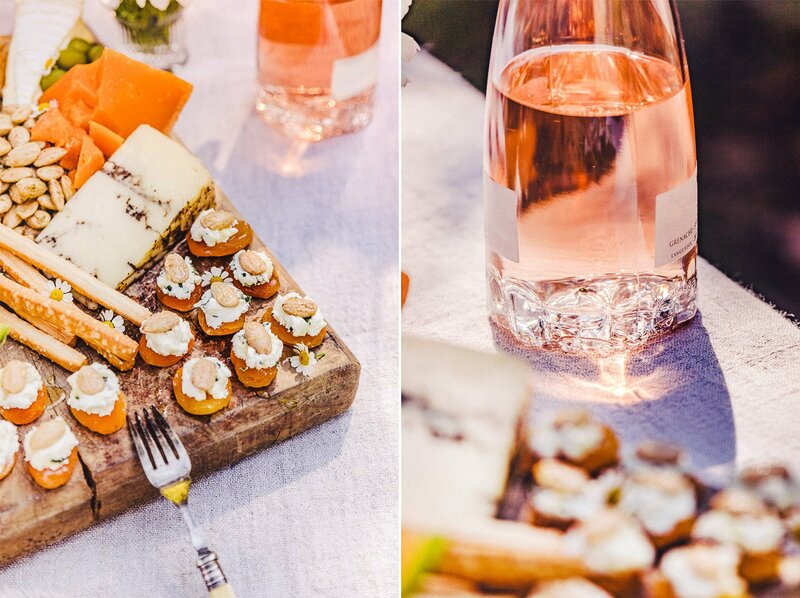 Serve with ice cold rosé and enjoy!